BRANSON, MO – The Comfort Inn West in Branson, MO will now be known as the Quality Inn West. The hotel is located at 3601 Shepherd of the Hills Expressway. The Quality Inn West will remain a part of Choice Hotels International, Inc., and will continue to offer guests exceptional service with the same quality amenities. Choice Hotels is one of the world’s leading hotel franchisers and the Quality brand is their largest brand. This hotel is a recipient of the 2015 Choice Hotels Platinum award for superior customer service and cleanliness, given out to the top 2% of hotels in the brand. “Our goal is to become the “Quality Inn of the Year”, just as we have done with our Comfort Inn hotels,” said Chris Myer, VP of Marketing. Beginning the 2016 season, the hotel will feature all new suite rooms. This is on top of upgrades already made to its other rooms at the hotel. For an outside corridor hotel we believe our rooms will be the best in Branson, said Myer. The Quality Inn West offers numerous amenities including: complimentary hot breakfast, free high-speed Internet, an indoor pool and hot tub, and more. The Quality Inn West is the closest hotel in Branson to Silver Dollar City and is within walking distance to multiple restaurants, theatres, and attractions. Myer Hotels currently owns and operates two additional Choice Hotels in Branson, which are part of the Comfort Inn brand. Their names will not be affected by this change. 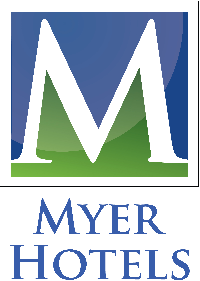 Myer Hotels has continually been a top performer for Choice Hotels. In fact, Myer Hotels has won 6 “Comfort Inn of the Year” awards in the last 7 years. In the lodging business for over 48 years, the Myer family has actively contributed to Branson’s hospitality market for over 32 years and received numerous national awards. Myer Hotels includes the Best Western Center Pointe Inn, Best Western Music Capital Inn, Comfort Inn at Thousand Hills, Comfort Inn & Suites Branson Meadows, Comfort Inn West, and Holiday Inn Express Green Mtn. Drive. The properties emphasize excellent locations, countless amenities and exceptional customer service while focusing on great value in the upper mid-scale area. For more information about these hotels, please visit www.myerhotels.com.